Ocean Rafting enjoyed success on Saturday night at the glam beach-themed Whitsunday Tourism Awards held at Cape Gloucester Resort. Ocean Rafting scored two gongs, taking home the gold award for the highly respected Major Tour and Transport Operator category, as well as silver in the Adventure Tourism category. Ocean Rafting owner Jan Claxton, was ecstatic to receive both awards which was proudly shared with staff on the night. 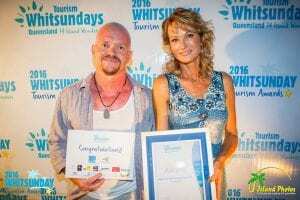 “We have seen such significant growth over the past few years, so not only entering the Major Tour and Transport category in the Whitsunday Tourism Awards feels like a huge achievement for us, but to also win gold just makes it even more special. We are extremely proud to be recognised with these two awards and dedicate these wins to our wonderful staff who are the heart and soul of our operation. Of course we would like to thank everyone who supports us, including local agents, industry partners and our guests and also extend a big congratulations to all the other winners on the night,” said Jan. It has been a big year for Ocean Rafting with their newest vessel, RipTide, coming on line last month, only eighteen months after their other most recently built vessel, Joyride. Both vessels were custom built to suit the fleet’s operation, bringing the total number of vessels to six. “With a fleet of six vessels we can carry over 170 guests each day on an exhilarating adventure to Whitehaven Beach, Hill Inlet and our special snorkelling sites, however as each boat takes only 25 to 32 guests each, we still offer personalised service and the pleasure of a small group. 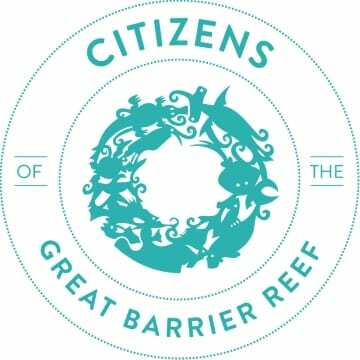 We also have special permits which allow us to visit Hill Inlet beach itself, which certainly adds to the uniqueness of our tours,” said Jan.
“We are overwhelmed at how fast we are growing, but it has taken a lot of hard work from our team to make it happen and we will continue to develop our businesses both here and up north in Tropical North Queensland,” said Jan. Ocean Rafting has previously been awarded on a state and national level and is once again an entrant in two categories at the upcoming Queensland Tourism Awards. Ocean Rafting operates two exciting day tour options to some of the Whitsunday’s most desirable destinations. The Northern Exposure and Southern Lights tours are both fully guided and include an exhilarating ride to Whitehaven Beach and Hill Inlet, pristine snorkelling reefs and guided Whitsunday Island National Parks walks. Ocean Rafting departs from Abell Point Marina daily.